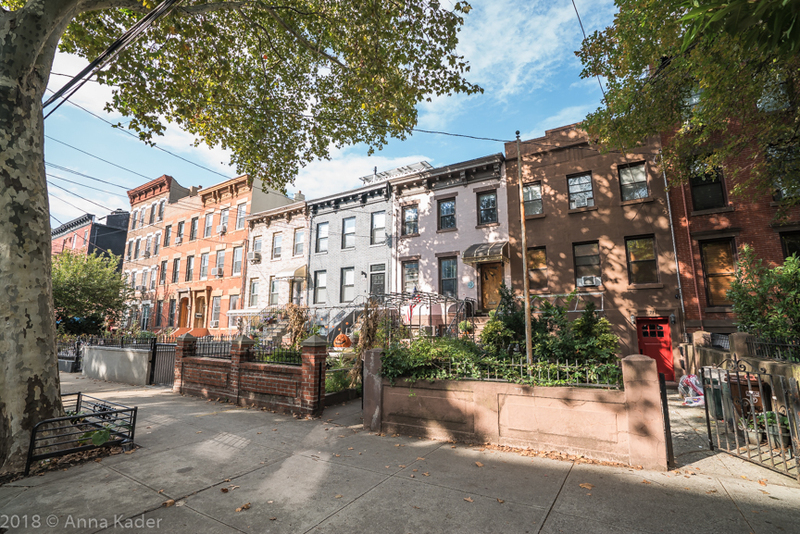 Carroll Gardens, Brooklyn NY is a gem of a neighborhood. It is a perfect combination of historic and hip. 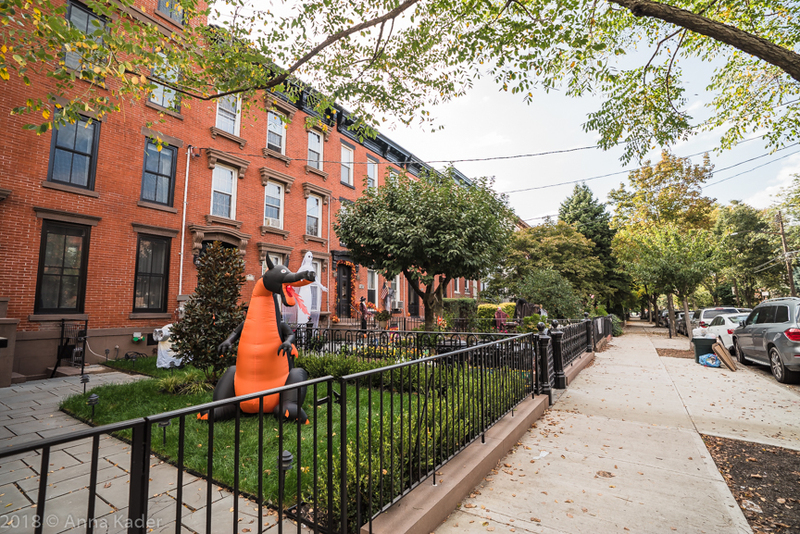 This cozy, quaint, family friendly neighborhood has gorgeous tree lined blocks with impeccably maintained brownstones. 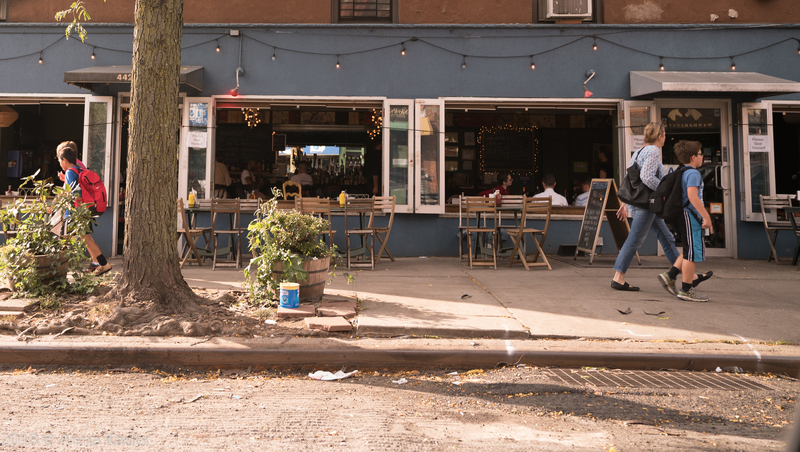 Carroll Gardens offers a wide variety of great boutiques, great restaurants and cool bars and many authentic Italian eateries. 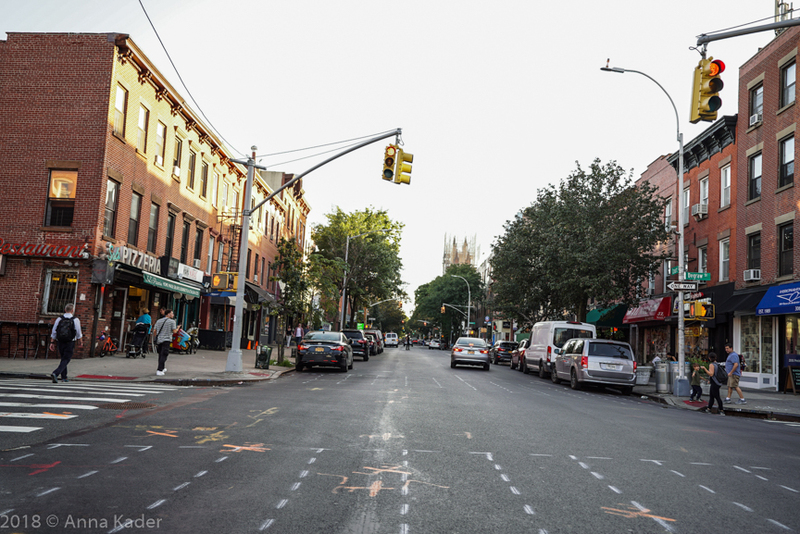 Carroll Gardens boundaries are: from Brooklyn Queens (BQE) Expressway on the West to Hoyt Street (between DeGraw and 5th Street) and the Gowanus Expressway on the East, from DeGraw Street and Warren Street on the North to the 9th Street and Gowanus Expressway on the South. For a 1 family townhouse with 3,000 square feet, 6 rooms, 4 bedrooms and 5 baths, asking is $2.250M, for a 3,364 square foot, 9 room, 4 bedroom and 2.5 bath, asking is $3.2M, for a 2,450 square foot, 8 room, 3 bedroom and 3 bath, asking is $3.5M and for a 3,442 square foot, 10 room, 4 bedroom and 4 bath, asking is $3.995M. For a 2 family house with 2,142 square feet, 10 rooms, 4 bedrooms and 3 baths, asking is $3.1M, for a 2,520 square foot, 8 room, 3 bedroom and 3.5 bath, asking is $3.399M, for a 4,724 square foot, 9 room, 5 bedroom and 5.5 bath, asking is $3.795M and for a 3,485 square foot, 10 room carriage house with 6 bedrooms and 4 baths, asking is $4.250M. For a 3 family with 2,700 square feet, 14 rooms, 4 bedrooms and 3 baths, asking is $1.875M, for a 2,520 square foot, 14 room, 8 bedroom and 3 bath, asking is $2.4M, for another 2,520 square foot, 15 room, 7 bedroom and 4.5 bath, asking is $2.7M and for a 10 room, 4 bedroom and 4 bath, asking is $3.475M. For a 4 family with 15 rooms and 4 baths, asking is $3.350M. For a 5 family with 25 rooms, 10 bedrooms and 5 baths, asking is $.5.M, for a 5,082 square foot, 5 bedroom and 5 bath, asking is $5.850M and for 28 rooms, 8 bedrooms and 5 baths, asking is $6.499M. For a 6 family with 6 bedrooms and 6 baths, asking is $3.6M. For a mixed use building with a store + 2 apartments, with 6 rooms, 4 bedrooms and 2 baths, asking is $2.399M. For Co op apartments with 5 rooms, 2 bedrooms and 1 bath, asking is $809,000, for a 760 square foot, 3 room, 1 bedroom and 1 bath, asking is $835,000, for an 1,100 square foot, 4 room, 2 bedroom and 1 bath, asking is $1.275M, for a 7 room, 3 bedroom and 3 bath, asking is $1.350M and for a 4 room, 2 bedroom and 1 bath, asking is $1.450M. For Condominium apartments with 3 rooms, 1 bedroom and 2 baths, asking is $788,000, for a 900 square foot, 3 room, 1 bedroom and 1 bath, asking is $895,000, for a 4 room, 2 bedroom and 2.5 bath, asking is $1.035M, for a 1,030 square foot, 4 room, 2 bedroom and 1.5 bath, asking is $1.150M, for a 1,600 square foot, 5 room, 2 bedroom and 2.5 bath, asking is $1.175M, for a 1,427 square foot, 4 room, 2 bedroom and 2 bath, asking is $1.999M, for a 1,002 square foot, 4 room, 2 bedroom and 1.5 bath, asking is $1.249M, for 1,200 square foot, 1 bedroom and 1 bath, asking is $1.3M, for a 1,500 square foot, 5 room, 3 bedroom and 3 bath, asking is $1.495M, for an 1,881 square foot, 3 bedroom and 3 bath, asking is $2.750M, for a 1,712 square foot, 10 room, 3 bedroom and 2 bath, asking is $2.899M and for an 1,853 square foot, 6 room, 3 bedroom and 3 bath, asking is $3.250M. Subway service into Manhattan from Carroll Gardens consists of the F train at Carroll and Smith Street stop and the Bergen Street stop. P.S. 58 The Carroll School located at 330 Smith Street, serving grades Pk -5. P.S. 146 The Brooklyn New School located at 610 Henry Street, serving grades Pk – 5. Digital Arts & Cinema Technology College Preparatory High School located at 284 Baltic Street. Battersby located at 255 Smith Street, serving Lamb, Duck and Fish that is prepared in an interesting way. Lucali located at 575 Henry Street, serving one of the best pizza meals in NYC. Ugly Baby located at 407 Smith Street, serving great Thai cuisine. Buttermilk Channel located at 524 Court Street, serving great comfort food like fried chicken and meatloaf. Frankies 457 Spuntino located at 457 Court Street, serving homemade Italian cuisine. Prime Meats located at 465 Court Street, serving German/American cuisine. Bar Bruno located at 520 Henry Street, serving Mex/Am lunch and dinner. Gersi located at 316 Court Street, serving casual Italian cuisine. Avlee Greek Kitchen located at 349 Smith Street, serving Greek cuisine. La Cigogne located at 215 Union Street, serving Alsatian food, wine and beer. Nightingale 9 located at 329 Smith Street, serving Vietnamese cuisine. Brooklyn Social located at 335 Smith Street, a low key saloon that was an Italian social club, serving great cocktails. Travel Bar located at 520 Court Street, serving hand selected beer, wine, spirits and 24 different cocktails. The Jakewalk located at 282 Smith Street, with a speakeasy, prohibition era appeal, serving great beer, wine and 130 different brown liquors. Mini Bar located at 482 Court Street, serving inventive cocktails, great wines and eclectic beers. Zombie Hut located at 273 Smith Street, a Tiki Bar with a great out door space ,serving cheap, strong drinks. Great Bar Harry located at 280 Smith Street, a relaxed, dog friendly pub with excellent beer options. Union Grounds located at 270 Smith Street, the sports bar of Carroll Gardens, serving a wide selection of beer, cocktails and house wines. Real Estate values are high and the residential and commercial properties are in high demand.